Georgia River Network, in partnership with the University of Georgia Press, is creating a series of recreational guides to Georgia’s rivers authored by Joe Cook. A fifth book, the Oconee River User’s Guide, is currently in production and set for release in Spring 2019. 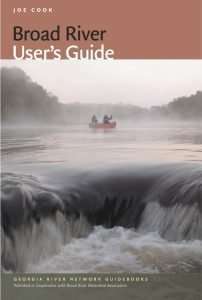 The Ocmulgee River User’s Guide is the next book in the series to be created. These guide books facilitate recreational use of our rivers for boating, fishing and other water-based activities, and document the rich cultural and natural history associated with Georgia’s rivers. Each book is printed on waterproof paper and in a 5.5 x 8.5 format that is suitable for taking on the river. Each chapter includes a map of a specific section and a complete guide that will aid users in exploring and learning about the river. All guide books can be purchased in our online store. The Broad River is among the last free-flowing rivers in Georgia and perhaps the state’s most wild. The Broad River User’s Guide traces the unique characteristics of the full 60 miles of the river and the 110 miles of its three forks (South, Middle, and North) before the main river’s convergence with the Savannah River. In doing so, the guide outlines the river’s cultural and natural history, telling the story of humans’ relationship to the river from precolonial days to the present. Though the mainstem of the Broad is one of the few Georgia rivers to escape dams, it was one of Georgia’s first inland river valleys to be explored and settled. Along its course are rare species like shoals spider lilies and the Bartram’s bass, not to mention some of the most popular whitewater paddling in North Georgia. 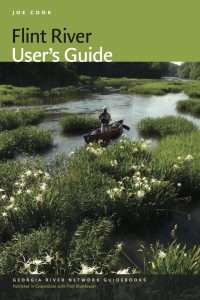 With this handbook, river explorers will find all the information needed to embark on a Broad River journey, including detailed maps, put in/take out suggestions, fishing and camping locations, mile-by-mile points of interest, and an illustrated natural history guide to help identify animals and plants commonly seen in and around the river. If you purchase your copy directly from GRN, a portion of the proceeds benefit our river conservation work. To order online, visit our store. To place a pick-up order, call 706-549-4508 or come by the Georgia River Network office. Price: $20 including tax, $23 including tax and shipping. Joe Cook is the author of the Georgia River Network Guidebook series published by the UGA Press, is coordinator of Georgia River Network’s Paddle Georgia Event, and on staff at Coosa River Basin Initiative. The Chattahoochee River is one of the premier waterways of Georgia and the Southeast. It is a mecca for summer recreation, a priceless natural resource that provides water and power for a great number of Georgia’s citizens, and an essential component to the region’s ecosystem. As public interest in both exploring and protecting Georgia’s rivers such as the Chattahoochee grows, so too has the demand for clear and elegant guides to our rivers. The Chattahoochee River User’s Guide—the latest in a series of river guides from Georgia River Network and the University of Georgia Press—aims to meet that demand. If you purchase your copy directly from GRN, a portion of the proceeds benefit our river conservation work. To order online, visit our store. To place a pick-up order, call 706-549-4508 or come by the Georgia River Network office. Price: $23 including tax, $26 including tax and shipping. Joe Cook is the author of the Georgia River Network Guidebook series published by the UGA Press, is coordinator of Georgia River Network’s Paddle Georgia Event, and on staff at Coosa River Basin Initiative. 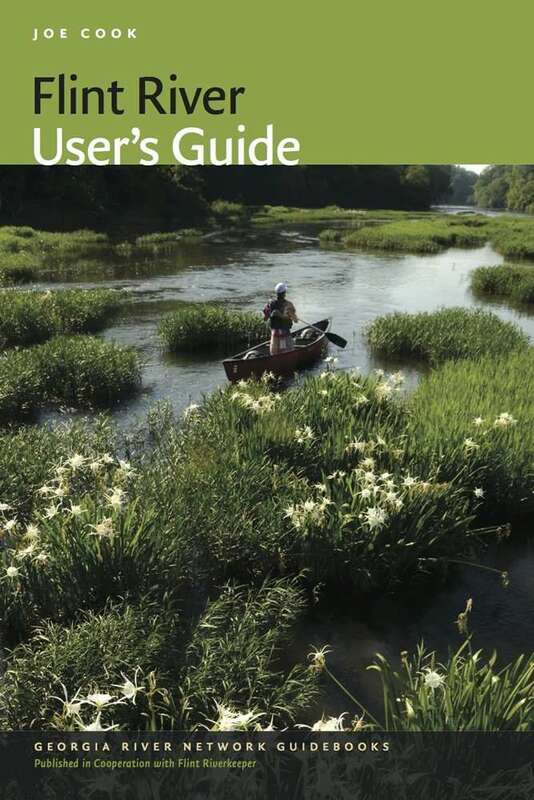 The first in a series of Georgia River Network Guidebooks, the “Etowah River User’s Guide,” authored by Joe Cook and published in cooperation with Coosa River Basin Initiative, is an appealing and handy look at the biologically diverse and beautiful Etowah River in North Georgia. Printed on waterproof paper by the University of Georgia Press, the book offers a fascinating history of the area and information valuable for novice or experienced paddlers as well as fishermen. It also will help explorers understand the threats facing the river and what steps can be taken to protect it for future generations. If you purchase your copy directly from GRN, a portion of the proceeds benefit our river conservation work. To order online, visit our store. To place a pick-up order, call 706-549-4508 or come by the Georgia River Network office. Price: $21 including tax, $24 including tax and shipping. Joe Cook is the author of the Georgia River Network Guidebook series published by the UGA Press, is coordinator of Georgia River Network’s Paddle Georgia Event, and on staff at the Coosa River Basin Initiative. The Flint River is arguably Georgia’s most beautiful river, and in terms of the terrain through which it flows on its 344-mile journey, there is not another Georgia river that exposes the river traveler to more diverse vistas. 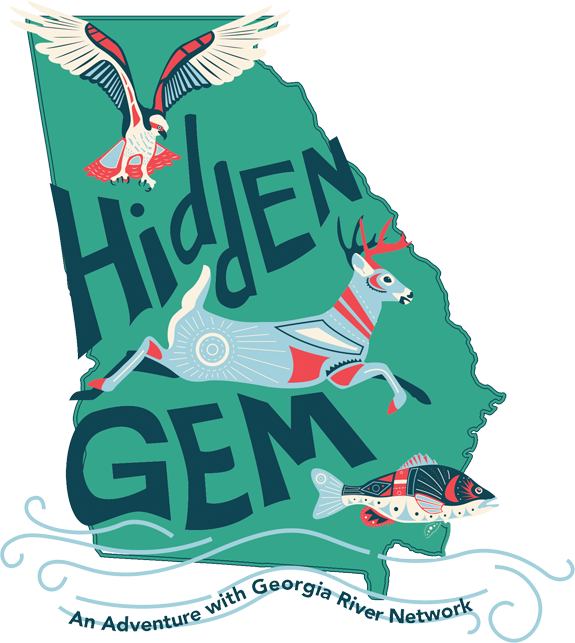 From the bottomland swamps in its headwaters, through soaring views of Pine Mountain and rapids in the Piedmont, to breathtakingly clear springs in the Coastal Plain, the Flint is filled with surprises at virtually every bend. 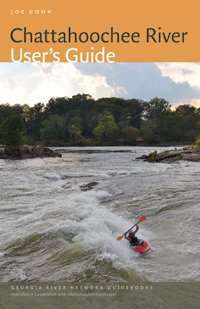 The Flint River User’s Guide, the fourth in a series of Georgia River Network recreational guidebooks, is a portal to adventure on this spectacular river. The book brings to life the river’s cultural and natural heritage while providing all the details needed to get out on the river and enjoy it via canoe, kayak, paddleboard, or motorized vessel. 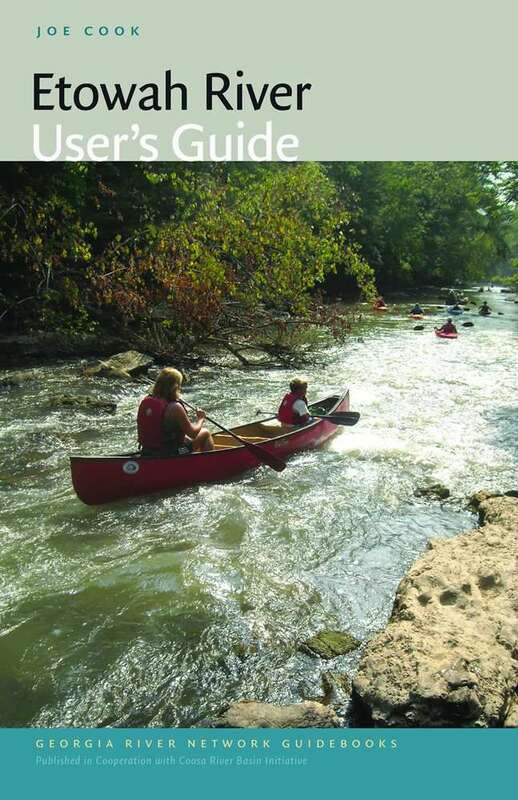 Whether in your canoe, on the river, or on your couch at home, the Flint River User’s Guide will immerse you in the story of the river, which also happens to be the story of those communities along its course—from the headwaters in the suburbs of metro Atlanta to the backwaters of Lake Seminole near the Florida state line. To order online, visit our store. If you purchase your copy directly from GRN, a portion of the proceeds benefit our river conservation work. To place a pick-up order, call 706-549-4508 or come by the Georgia River Network office. Price: $24.95 including tax, $28 including tax and shipping. Joe Cook is the author of the Georgia River Network Guidebook series published by the UGA Press, is coordinator of Georgia River Network’s Paddle Georgia Event, and on staff at Coosa River Basin Initiative. Purchase for $24.95 plus shipping in our store. When you buy from GRN, we receive a portion of the proceeds. 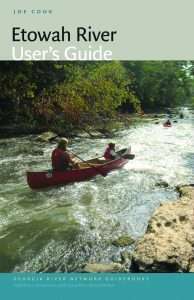 Also available: Etowah River User’s Guide, Chattahoochee River User’s Guide, Flint River User’s Guide , Oconee River User’s Guide.